Mintel, one of the most influential consulting companies whose services are used by more than 5,000 leading global companies, together with Green Seeds Group – an international food marketing agency, will transfer their experience and knowledge through the Belgrade Food Show on November 5 and 6 at the Crowne Plaza Hotel. Interested visitors shall have the opportunity to apply through the official website www.belgradefoodshow.rs and be among the first in Serbia to be educated about world trends in the food industry. At the Belgrade Food Show conference, Mintel’s food and drink experts will talk about the dominant world trends in the food industry and present the best opportunities for the region on how to achieve success in the international market. In the “Road to Market” lecture, experts from the world-renowned Green Seeds Group will answer key questions and present steps (packaging, certification, logistics, and distribution) that a high-quality food manufacturer is to make on a successful path to the market. 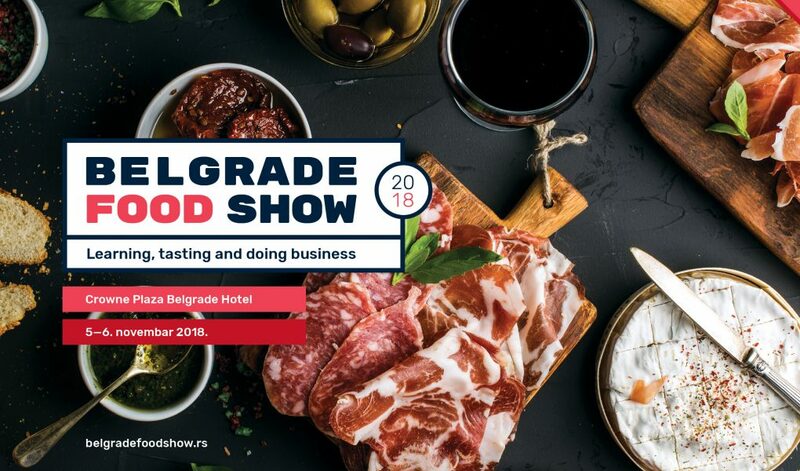 Belgrade Food Show is a unique business event – a combination of high-quality food and beverage fair, educational conference and opportunities for customer meetings. The Association for Promotion of Serbian Food organizes this two-day event with a tendency to position Serbia as this industry leader in the region of Southeast Europe. The event will bring together domestic and foreign customers, regional producers and distributors of high-quality food products. Through the participation of eminent European and domestic experts and companies, the conference will be able to teach more about the new world and regional trends and ways of doing business in different markets. This initiative of the Serbian Food Promotion Association was supported by the USAID Competitive Economy Project.